Those in search of herbs need look no further than Mountain Rose Herbs. The company has all different varieties to suit your needs. It's also easy to save money if you have a Mountain Rose Herbs coupon to use when shopping on their website. Established back in 1987, the company has its headquarters in Eugene, Oregon. It made history in the market by becoming one of the first certified suppliers of medicinal herbs in the entire country. Rosemary Gladstar, the founder of the company, started it with a goal to provider herbs and supplies to students who were attending the California School of Herbal Studies. Details: Monthly Specials! Get up to 60% off handpicked selection of favorite herbal Popular products each month. All orders must be received by 3:00 pm Pacific Time on the last business day of the month to qualify for discounts. The brand changed ownership several times over the next few years. It was primarily operated as a home-based business selling merchandise through a catalog until 2001 when it finally moved into a commercial location. The new location was chosen to be Pleasant Hill, Oregon because it allowed the company to be closer to many of its suppliers. Besides competitive prices through its Mountain Rose Herbs coupons, the brand is well-known for its work for the community. In nearby Salem, Oregon, they organized a Rootstalk Festival in 2011 that offered workshops and classes from professional botanists and herbalists. The non-profit charity Cascadia Wildlands received all profits from the event. A few years later, they came up with the Free Herbalism Project. Herbal teachers from around the country offered a series of free lectures and attended events in Eugene, Oregon. The company also funds an assortment of restoration projects each year that are carried out by their employees. It's easy to save money when buying from the company if you have a discount to use. 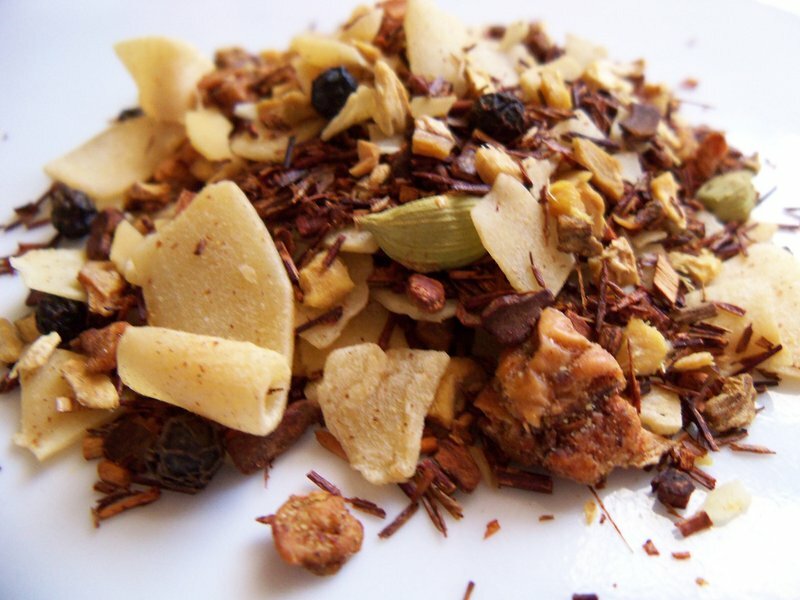 Recent customers have saved up to 15% off when they purchased organic winter spice tea. A variety of herbs can also be purchased at a discount up to 20%. Using a Mountain Rose Herbs promo code can definitely help you save a bit of money. Another way to save is to buy in bulk. You can really save when shopping with the company if you happen to be a student studying in relevant field. They maintain a list of schools whose students are able to get a discount when shopping. If your school is on the list, then you can save 25% on anything. What Can You Buy from Mountain Rose Herbs? Of course, they sell a wide variety of herbs and spices. They include culinary salts, seasoning blends, sprouting seeds, peppercorns, and seaweeds. You also have quite a few different types of teas such as black, green, white, red, herbal, and flowering teas. They also sell all the necessary accessories like presses and teapots. Their catalog also includes items for aromatherapy. They include sprays, candles, diffusers, oil blends, essential oils, and kits and samples. Health conscious individuals should check out their selection of elixirs, syrups, herbal oils, lozenges, and extracts. Their expansive catalog also includes bath and body products designed for your face, hair, or body. Containers to store herbs or spices in are also available. Some of the other products available include books, kitchen tools, seed packets, and pet supplies. The best part is that, most of these items can be purchased with a Mountain Rose coupon code for an even better shopping experience. For orders paid with a check or money order, the refund period is up to 30 days. Some items are however unacceptable and cannot be refunded. They include clearance items, samples, mugs, opened DVDs, unsealed essential oils among other items listed on the company’s website. The store accepts major credit cards like Visa, MasterCard, Discover and American Express all which must have a Canadian or US billing address. They also accept money orders and checks in US funds though Mountain Rose Herbs holds the order until the check has cleared. Pre-paid gifts such as the Visa Gift Card are accepted but they need to be registered on the card issuer website. Unfortunately, Mountain Rose Herbs are not accepting Paypal payments at this time. It is the most convenient way to order for many customers. You can browse the wide range of products on mountainrosehearbs.com and choose what you need. Payments are made through the credit cards accepted by the store. To order on phone, you need to have a complete order as well as credit information ready before calling the customer service toll free number (800) 879-3337)Monday through Friday from 9am to 5pm. If paying by check or money order, it needs to be mailed to them. You need to write all your to-order items on a separate paper or the Mountain Rose Herbs order form. You will be required to include your name, shipping address, items to order and the telephone number. These details can then be shipped to the company’s P.O box address. You however need to allow for at least 8 days to have the order reach their address. You can fill your order details on a separate paper, print the company’s order form or put a fax order online. Once the fax order is filled in, print it out and fax to (510) 217-4012. The best part with a local pick up order is that, no shipping charges are incurred. If you wish to pick your item from the Mountain Rose Herbs retail store, be sure to select the option at check out or mention it to the customer care representative. The order must be placed well in advance and by 2pm Monday through Thursday to benefit from next day pick up. All orders are picked on 152 W. 5Th Ave Eugene OR 97401. NOTE; it is of essence to confirm from the customer care representatives if your mode of order can use a Mountain Rose Herbs coupon. Cancellations must be made by 3pm PST on the same day an order was placed. Mountain Rose Herbs does not accept cancellation requests made after this time as well as items with expedited shipping as they are dispatched from the warehouse very fast. If you haven’t managed to cancel an order before 3 pm, you may have to wait until the item is delivered to you and then return it back for a refund. However, you should note that, you will only be refunded an amount equal to what you paid for in the case where you has used Mountain Rose Herbs coupons.